Have you been eager to know what Certified Rolfers™ are thinking about and exploring in their private practices? Ever wondered what is piquing the curiosity of the collective brain trust in the Rolfing SI community? Here is your opportunity to find out. Beginning with the March 2015 issue, Structural Integration: The Journal of the Rolf Institute® is now available for purchase by anyone on Amazon.com. This professional journal represents the field of Rolfing® Structural Integration and has been in continuous publication for more than forty years. 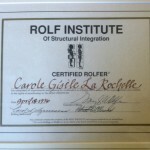 The Rolf Institute of Structural Integration was established in 1971 by Dr. Ida Rolf to carry on the work she originated, the field of structural integration. Dr. Rolf’s genius was to consider these two factors in combination — how gravity affects a body’s structure and alignment, and the holistic role of fascia in maintaining the shape and flexibility of the human form. With these concepts, she developed a process for optimizing body posture and structure by aligning and re-organizing fascia. The mission of The Rolf Institute is to bring the benefits of Rolfing® SI to the world. This is accomplished through internationally recognized certification programs in Rolfing SI and Rolf Movement® Integration, as well as continuing education programs for practitioners. The Rolf Institute is the only school that teaches Rolfing SI and graduates Certified Rolfers worldwide. 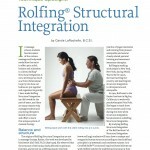 The Rolf Institute also underwrites and promotes research and public education about the benefits of Rolfing SI, including the publication of this scholarly periodical. 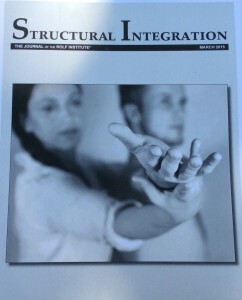 For more information about The Rolf Institute please visit www.rolf.org, and don’t forget to snag your copy of Structural Integration: The Journal of the Rolf Institute.